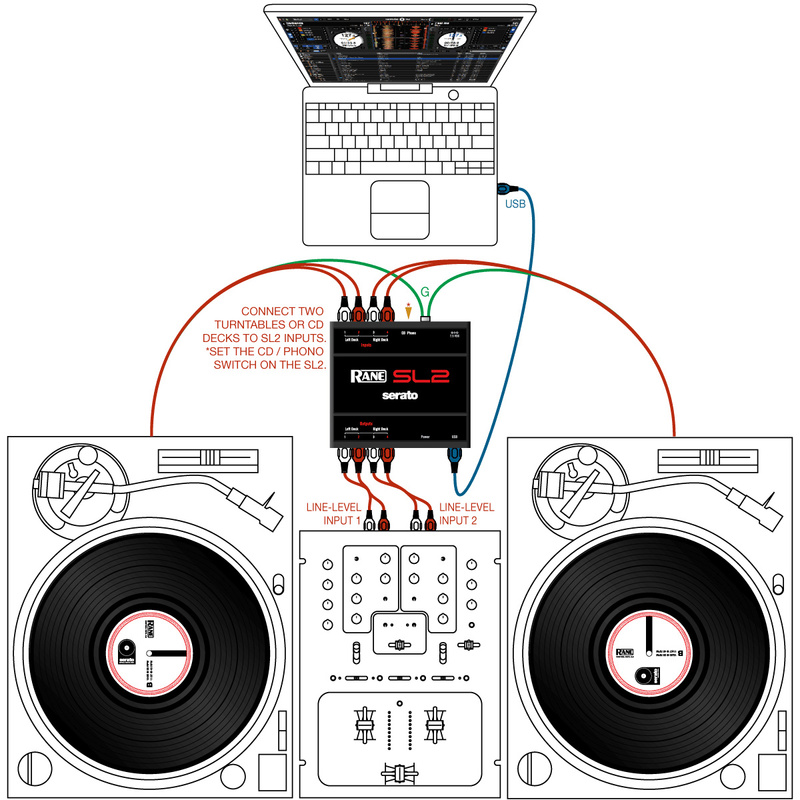 Connects one or two standard vinyl or CD turntables to your computer using a single USB cable. Ideal for use with Pioneer CDJ1000MK3 CD players or Technics SL1210 turntables. 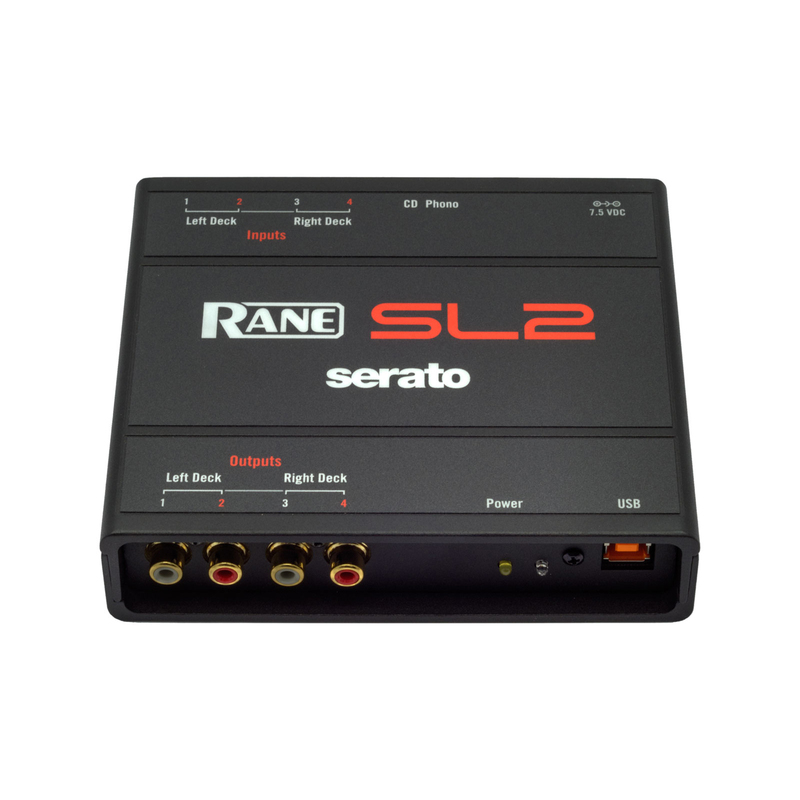 The SL2 gives you the freedom to take your entire digital music collection on the road with advanced Serato features that add extra creativity to your DJing. This intuitive system replicates the traditional DJing experience for “real feel” usability. The Rane SL2 USB 2.0 interface connects one or two standard vinyl or CD turntables to your computer using a single USB cable and audio connections to line inputs on your DJ mixer of choice. * Inputs for two deck mixing on turntables or CD decks. * Two software-switchable analog Thru connections for regular vinyl or CD. 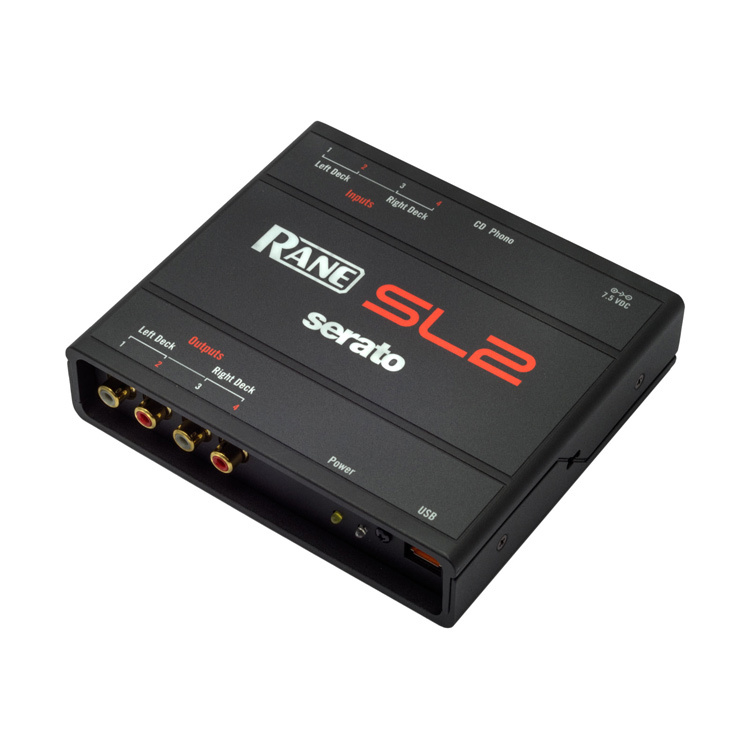 * Studio-grade phono preamps, and 48 kHz 24-bit audio processing for superior sound quality. * Advanced, low latency USB 2.0 drivers. * Built-in galvanic isolation to eliminate computer noise and interference. * Compact and ultra-rugged hardware for portability and simple setup. 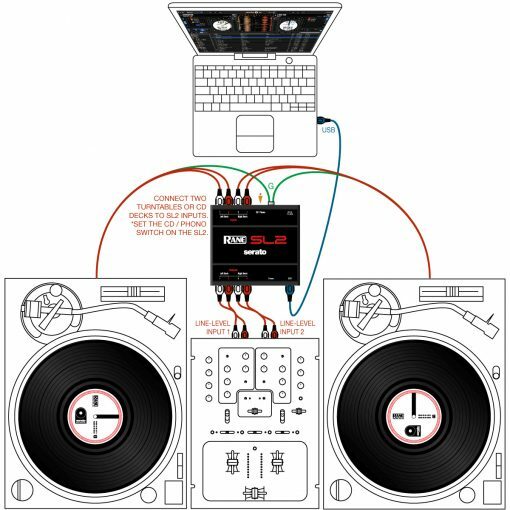 A great solution for using older Pioneer CDJs or Technics SL120s with your digital music media.